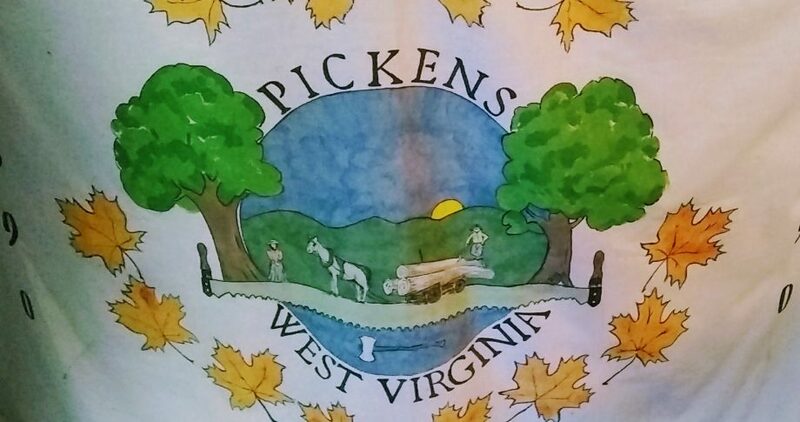 When the town of Pickens, West Virginia throws a party it seems like the whole county shows up to eat, shop and be merry. The annual Pickens Maple Syrup Festival held every March turns the tiny town of 66 full-time residents into a town that swells to over two thousand visitors over the weekend. The much loved event is part of state-wide Maple Syrup Festival themed events that celebrate our much loved native sugar maple trees. Pickens is a historic railroad spur town that boomed in the late 1800 and early 1900’s. Logging, lumber mills and the railroad brought money and jobs to the mountains of Randolph County, but when the railroad left so did the jobs and the town slowly shut down. With only a few business left in downtown, the town struggled to survive but the community feeling stayed strong.So they created a new reason for people like me to drive an hour into some of the most remote communities in mountains. Morning of the Maple Syrup Festival 2019 before the crowds arrive for lunch. The festival began 35 years ago encouraged by a local Maple Sugar Camp owner Mr Richter and the tradition just keeps growing and families just keep coming. The Richter maple sugar camp is only few minutes from Pickens and is part of the joy of a day spent at the festival taking time to learn about the process of taping the trees and boiling down the sap to make the sweet syrup we all love. During the festival their are lots of family friendly events that take place from live music to wood chopping demos, to ax tossing and lots and lots of eating. Their is the traditional maple syrup pancake breakfast, their is smoked pork, turkey and beef, maple cotton candy, honey, jam, jelly and a wine made from honey called Mead. Christoper Powers on his way up the rock wall Pickens Maple Syrup Festival 2019. Tom and I enjoyed hand made maple-dark chocolate candy and brought home strawberry rhubarb jelly. I bought a bottle of syrup for the next morning just so we could remember our fun. The food was fantastic and the smell of smoke and hot maple syrup was to-die-for. Tom and I bumped into many of our friends from all over the state at the event. It was like a family reunion on a grand scale. I really enjoyed watching the people shop and the kids play on a downtown swing set. Row of old men visit on historic store front porch at the Pickens Maple Syrup Festival 2019. In true West Virginia fashion over half the visitors arrived on side by side ATVs, riding trails from the other side of the mountain. Taking part in one one of the first spring ATV poker rides that raises money for a charity or family in need. At one point the whole main street was filled with ATVs, maybe 40 of them paraded down main street, it was a sight to see in the small town. lady making Maple flavored Cotton Candy in the old post office in Pickens. The entertainment for the day was all about was inexpensive or free, you could learn to through an ax on main street or you could watch a wood chopping competition on the wooden stage just off main street. You could take the kids to meet Scooby-Doo or just watch the kids play on the swing set in the park enjoying live music from a local blue grass band. Beautiful church on a hill high over Pickens West Virgina. After about 4 hours Tom was ready to head home. I could have spent more time in the early spring sunshine, but I was happy to enjoy the beautiful country drive home. Next time I will remember to bring the fishing poles as the streams all around Randolph county were clear and the sun was out making for a great day on a stream also. Strawberry Rhubarb jelly and pure West Virginia Maple Syrup from the Pickens Maple Syrup Festival March 2019. Learning more about our mountain communities is always fun and taking part in the Maple Syrup Festival Tradition was one of the best. Next time I hope to focus more on the making of the syrup and less on the food. But, that smoked turkey bacon and swiss sandwich is one of the best picnic foods I have ever had !! !